The quintessential divers’ watch, the absolute reference in its genre, the Submariner has expanded its horizons far beyond the element of its birth in 1953, while denying nothing of its aquatic origins. At home in the depths of the oceans, a universe in which it remains an indispensible instrument for every diver, it long ago conquered terra firma as the watch of action. 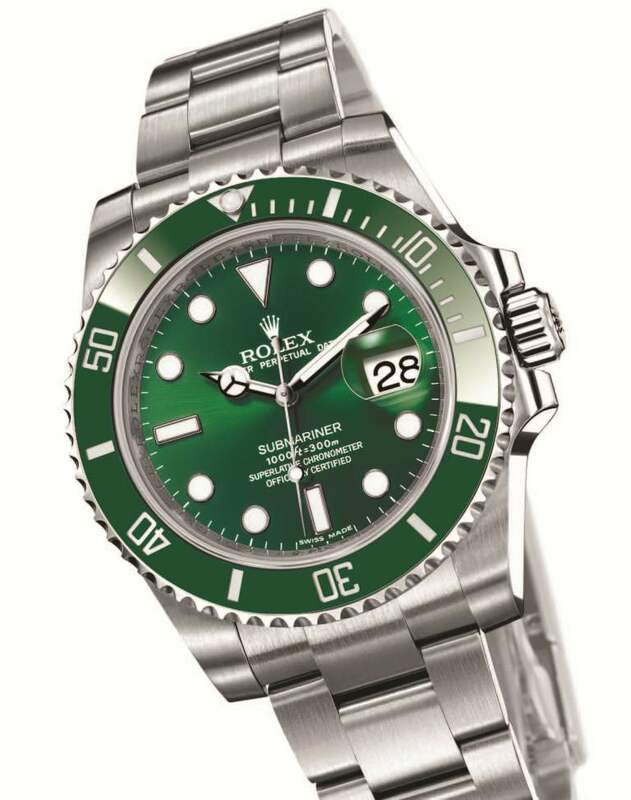 Waterproof to a depth of 100, 200, then 300 metres as it successively evolved since its launch over 50 years ago, the Submariner has always symbolized Rolex’s supremacy in waterproofness. 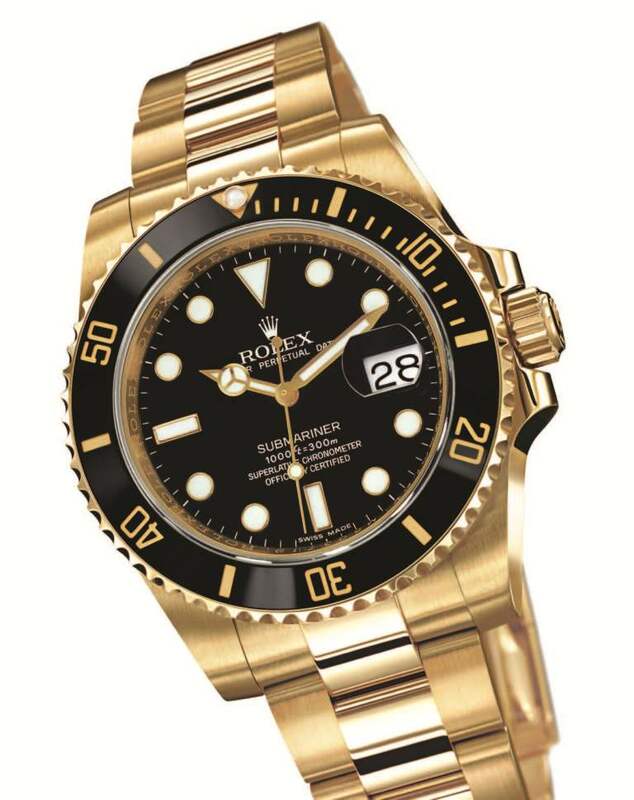 Since 2008, a new version of the Submariner, with a subtly redesigned case, has been perpetuating the legend. 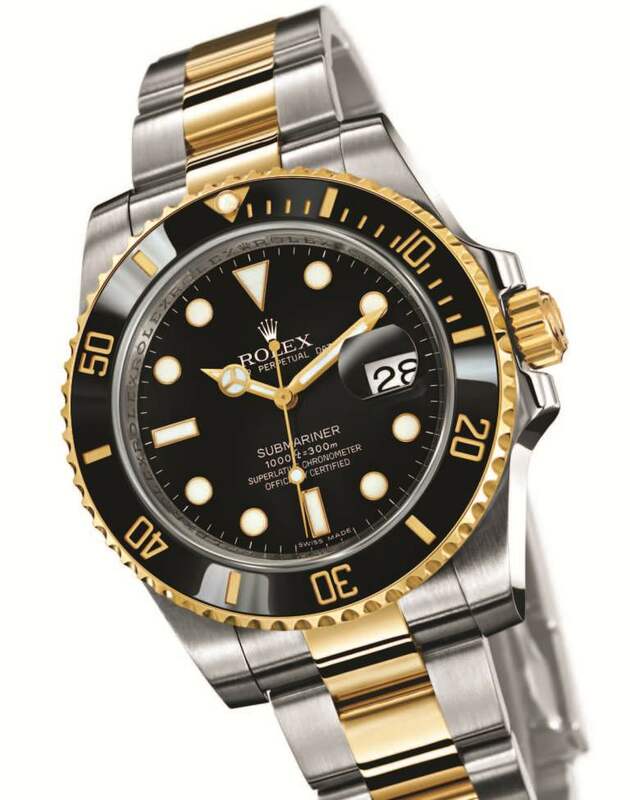 With the yellow and white gold models presented at Baselworld in 2008, followed by the yellow Rolesor models presented the next year, and the 904L steel watches in 2010, the range of the Submariner Date collection has come full circle. A subtle balance between the lines of the past and the technology of today. The case is graced with a new, unidirectional rotatable bezel equipped with a 120-notch anti-reverse click system and fitted with a black, blue or green Cerachrom insert according to the version. Cerachrom is an extremely hard, corrosion resistant, practically scratchproof ceramic, whose colour is not affected by ultraviolet rays. Its mechanical movement equipped with a Perpetual rotor and Parachrom hairspring pledges increased chronometric precision and reliability. Parachrom is a material 10 times more resistant to shocks and is insensitive to magnetic fields. Like every Rolex movement, the Submariner Date’s movement is certified by the Swiss Official Chronometer Testing Institute (COSC). As much in its element in the penumbra of the ocean floor as in the soft light of sophistication, this new-generation Submariner Date offers exceptional legibility thanks to hour markers and hands coated with luminescent Chromalight. This new model is no stranger to comfort as it is fitted with the Rolex Glidelock clasp. Designed, developed and patented by Rolex, this extension system allows the bracelet to be lengthened – without the need for tools – by approximately 20 mm in increments of 2 mm, for the watch to be worn over a diving suit up to 3 mm thick.